There are so many beauty products I love—but you know, if they got discontinued or whatever, I could find a close-enough replacement. Very few are SO unique and SO integral to my beauty routine that I simply cannot live without them. 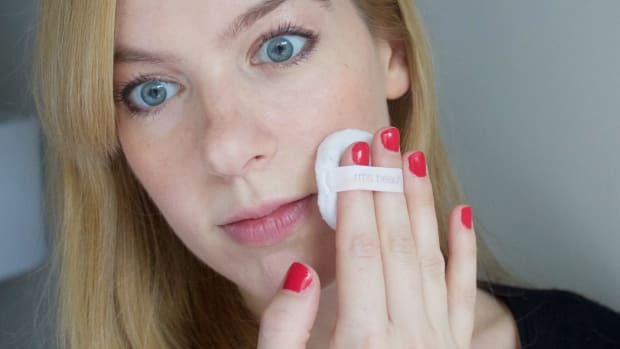 How&apos;s that for an endorsement of RMS Beauty&apos;s cult-favourite "Un" Cover-Up? The speed at which I&apos;m going through &apos;em has definitely increased lately. I don&apos;t know if it&apos;s because the condition of my skin has improved, or if I&apos;m becoming more comfortable with sheerer coverage, or if I just got more adept at applying it well. But I&apos;ve found myself using the product more and more often as my go-to foundation and concealer. I love how it makes my skin look, and I consider the ingredients list the very best one on the market. 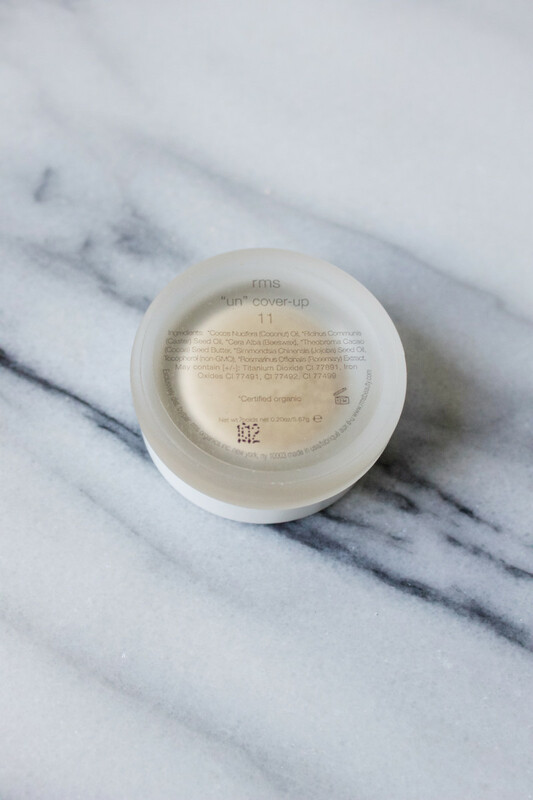 RMS Beauty "Un" Cover-Up is packaged in recyclable glass with a recyclable aluminum lid... not plastic! It&apos;s concealer AND foundation. Most people think "Un" Cover-Up is just a concealer. It&apos;s not. 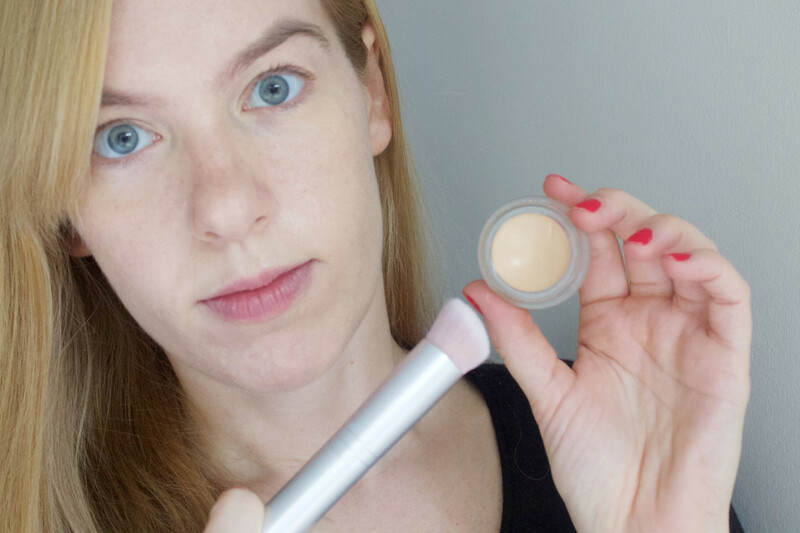 It&apos;s not even a concealer in the way you might be used to (it&apos;s not dry nor opaque). 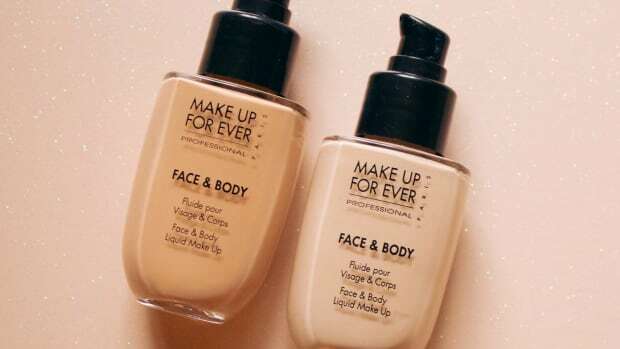 No, I consider "Un" Cover-Up a true hybrid product that you can use all over your face as a sheer, lightweight foundation AND build up in certain areas, such as under the eyes and around the nose, where you want more coverage. It isn&apos;t going to erase all imperfections (like so many foundations that completely white out every flaw and leave you cakey and dry). It&apos;s going to give you a more even, healthy skin look, but the effect is still very natural. Swatch of RMS Beauty "Un" Cover-Up in 11. It doesn&apos;t feel like foundation. I&apos;m a foundation-hater from waaay back. Yes, I&apos;ve used them out of necessity, but I hate how most of them look, feel and smell, and often want to wash them off right away. (Not Sappho, of course. And in mainstream foundations, I&apos;m also partial to Make Up For Ever.) "Un" Cover-Up never gives me the feeling that I&apos;m wearing a mask of makeup. Because you can&apos;t see it sitting on top of your skin, and there is no scent, you pretty much forget you&apos;re wearing it. I consider it skincare, actually! 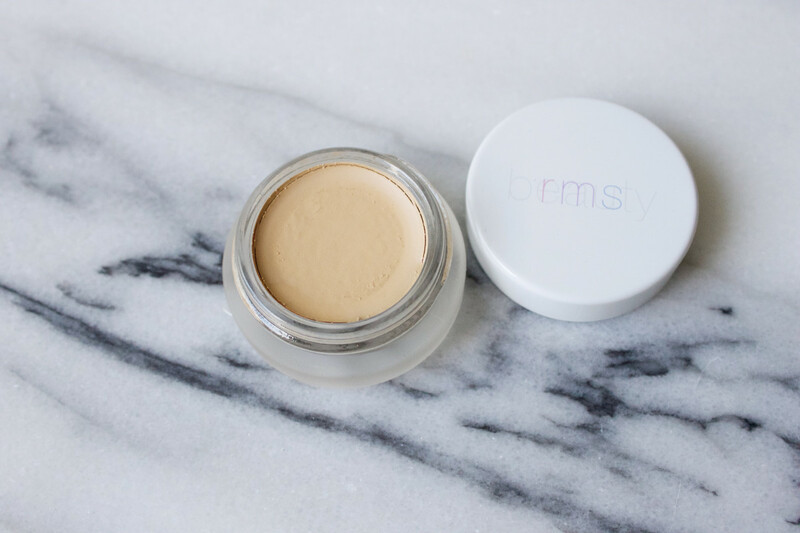 A fresh new pot of RMS Beauty "Un" Cover-Up in 11. The shades adjust to your skin tone. 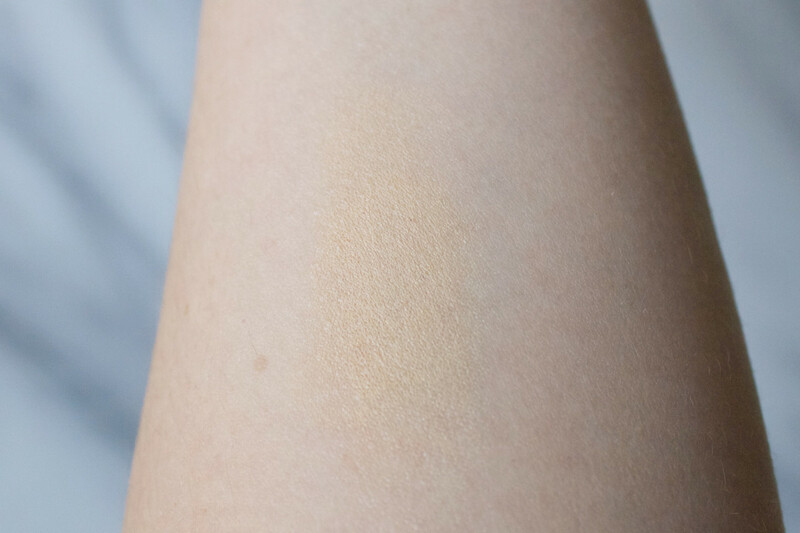 There are six shades of "Un" Cover-Up, and the mineral pigments will self-adjust to your skin tone, even if they don&apos;t seem like an exact match at first glance. (I tend to trust founder Rose-Marie Swift on that; a celebrity makeup artist of her calibre definitely knows skin.) Also keep in mind that these go on sheer, which helps the colour fuse in even more. My shade is 11, the second lightest. 00: Lightest shade for the true snow whites. 11: Pale shade with a subtle yellow base. 22: The biggest seller. With its yellow base, this shade is great light-medium skin tones. It&apos;s made with safe ingredients. The most amazing thing about "Un" Cover-Up is that it contains so few ingredients, and all of them are good for your skin. (Hence why I say it&apos;s skincare, not makeup.) 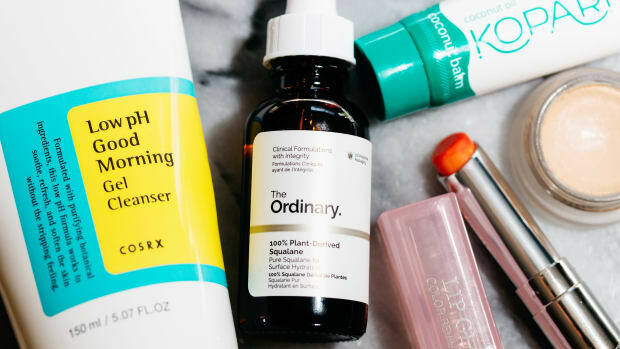 There are no fillers, water, silicones or hard-to-pronounce chemicals you&apos;ve never heard of. And the oils are stable, not the rancid, polyunsaturated kind that I always drone on about! "Bacteria only grow in water, they don&apos;t grow in [pure , uncontaminated] oil," Rose-Marie told The Telegraph in this interview. "What [the industry] should be doing is telling people to get a rancimat test [to test for rancidity in oils]. When you use a rancid oil, it causes oxidative stress on the skin, which is ageing. Cheap oils go rancid fast—olive, safflower, almond, sesame. I avoid those like the plague. I use coconut and jojoba." RMS Beauty "Un" Cover-Up is made with coconut oil, castor seed oil, beeswax, cocoa butter, jojoba oil and vitamin E.
Wearing RMS Beauty "Un" Cover-Up—that&apos;s it! 1. Only moisturize first if you have dry skin. 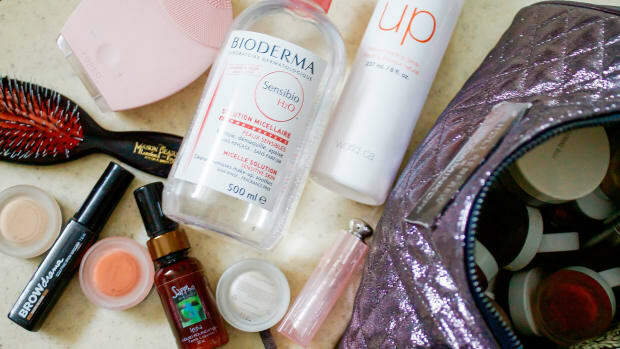 Unless you&apos;re dry, you&apos;ll probably find you don&apos;t need any moisturizer underneath "Un" Cover-Up, because it&apos;s so hydrating. I often apply it straight after cleansing; at most, I&apos;ll use a serum such as Consonant HydrExtreme. Rose-Marie specifically advises not to use synthetic, chemical moisturizers under RMS Beauty products, as they&apos;re designed to work synergistically with natural ingredients. If your skin is extremely dehydrated, she suggests the RMS Lip & Skin Balm after cleansing. 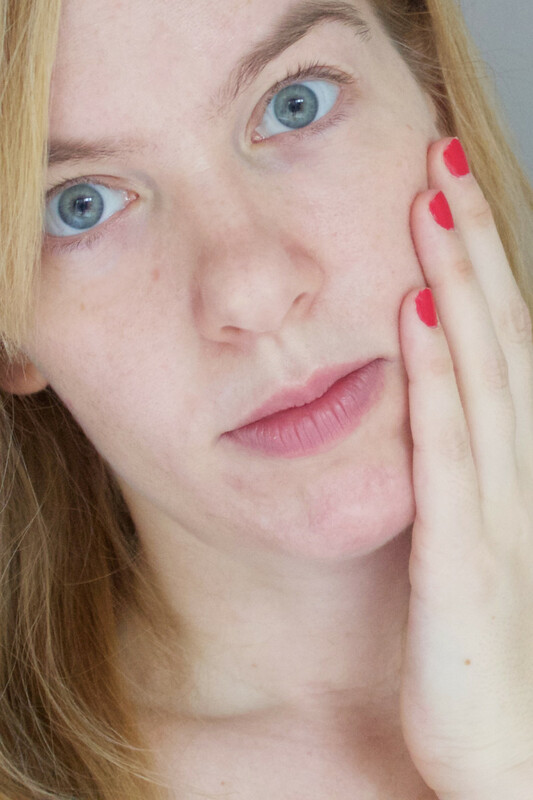 No makeup, before applying RMS Beauty "Un" Cover-Up. 2. Skip primer. Along the same lines, a synthetic primer isn&apos;t going to work with "Un" Cover-Up either. 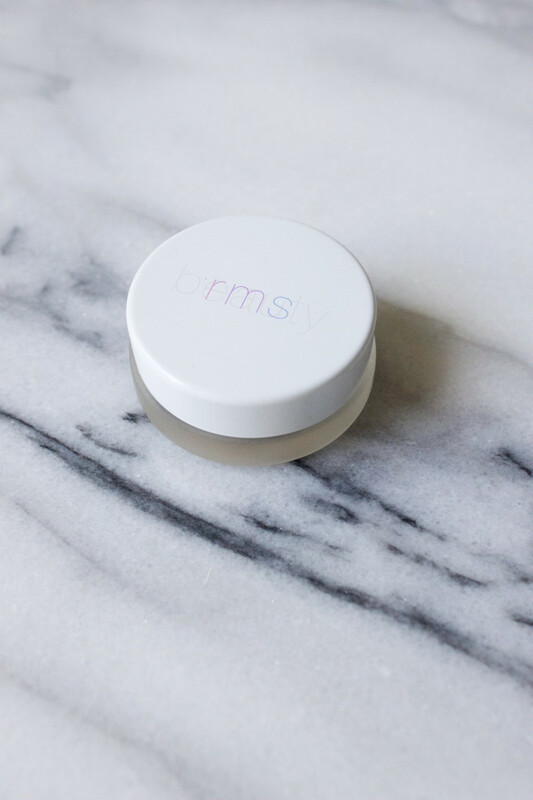 If you do want to prime, a drop of the RMS Beauty Oil is said to double as primer. I&apos;m guessing a drop of pure jojoba oil would work similarly—I like the one from MV Organics. 3. Apply "Un" Cover-Up to your T-zone. As with all base products, you want to concentrate your coverage where you need it most, which is almost always in the centre of the face. Then the coverage should sheer out as you move towards the edges. Fingers are actually best for applying "Un" Cover-Up, as the skin-to-skin contact helps melt it in for the most natural finish. However, you can also use a synthetic foundation brush if you prefer. The new RMS Skin2Skin Foundation Brush is AMAZING, and designed just for this purpose. The densely packed spiral bristles replicate a finger touch; it&apos;s unlike any other makeup brush I&apos;ve tried. Apply RMS Beauty "Un" Cover-Up with your fingers or the new RMS Beauty Skin2Skin Foundation Brush. 4. Blend well. You should think of "Un" Cover-Up almost like a moisturizer. Rather than pressing or patting it on, take the time to blend it really well—think light circular motions—to fuse the product into your skin. This will ensure it looks ultra-natural. For best results, RMS Beauty "Un" Cover-Up should be blended well, to melt the product into your skin. 5. Add more coverage only where you need it. If you have redness, darkness, or other areas of discolouration, sparingly apply more product wherever the extra coverage is needed. 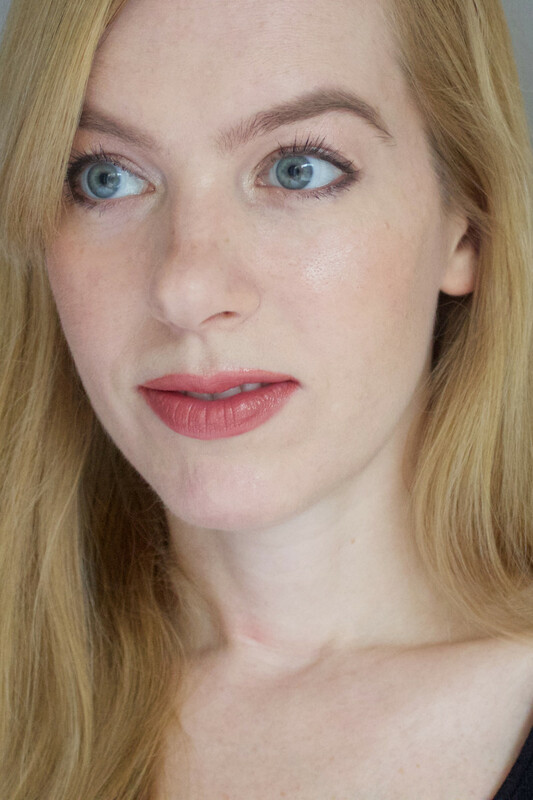 As per my recent colour correction tutorial, one trick for hiding dark circles is to apply a salmon corrector first, to counteract the blue in your skin. If you want to try this with RMS products, the Lip2Cheek in Smile would be appropriate, underneath the "Un" Cover-Up in your shade. If you have a pimple, you can conceal it with "Un" Cover-Up—actually, the coconut oil should help it heal. I suggest using a tiny lip brush to dab it on, but you must set with powder (otherwise, I&apos;ve found that it does slip off as the hours pass). I tend to use my Make Up For Ever Full Cover Concealer instead, since I feel more secure with a heavier product that doesn&apos;t move. 6. Set with powder. This is really important! 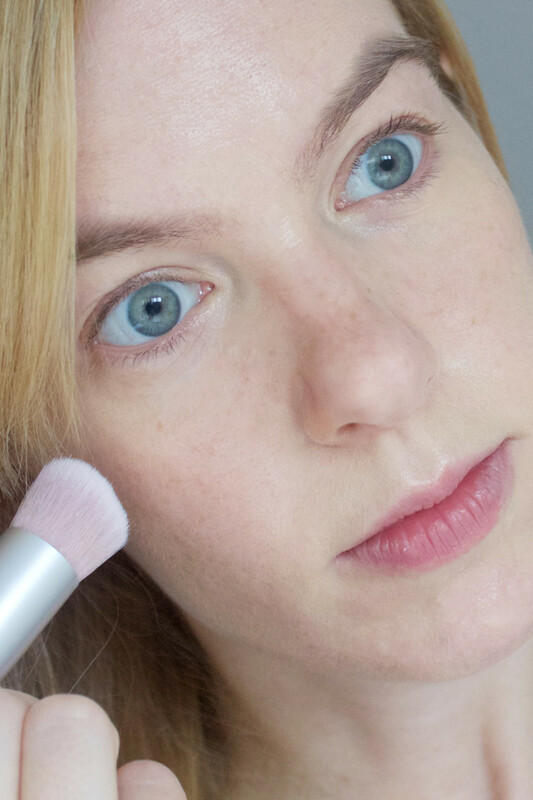 Once you&apos;ve achieved the coverage level you desire, you most likely are going to want powder. "Un" Cover-Up is so hydrating, it WILL leave your skin looking quite dewy. 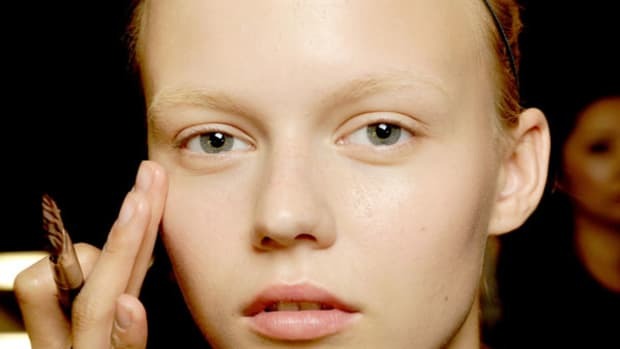 Unless you are on the dry side, this look probably won&apos;t fly on oily, normal-to-oily or combination skin. Therefore, I strongly suggest you also invest in a translucent setting powder. 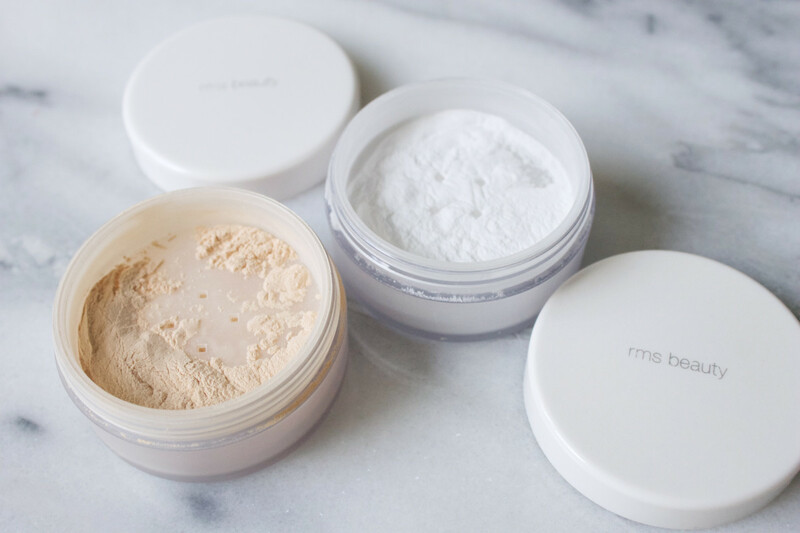 Pure silica has long been my favourite—it&apos;s the single ingredient in Make Up For Ever HD Microfinish Powder, and RMS recently launched "Un" Powder (also available in Tinted). I&apos;ll have to do another RMS post, on the powders, next! 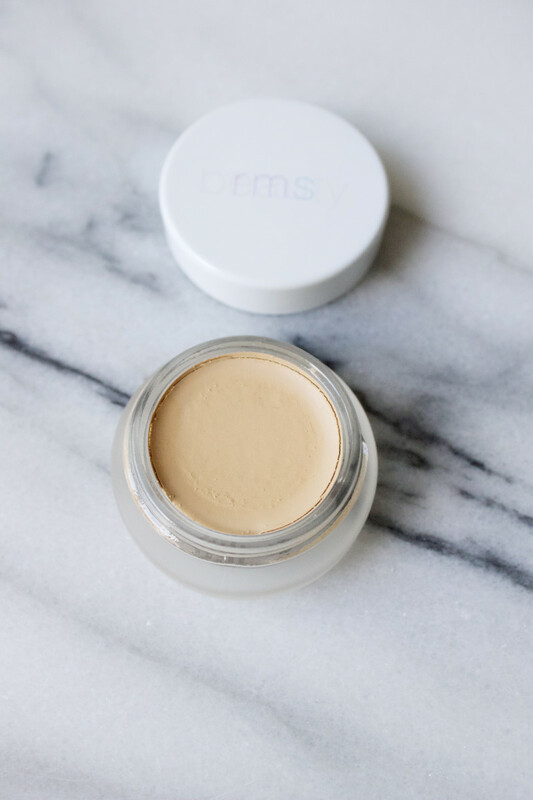 Unless you have dry skin, you&apos;ll likely want to set your RMS Beauty "Un" Cover-Up with powder, such as RMS Beauty "Un" Powder. The powder will take away the dewiness, absorb oil production, and help the "Un" Cover-Up to last a lot longer throughout the day. However, your application should have a light touch. Rather than dusting it on all-over with a big fluffy brush (eeks! ), use the puff that comes with "Un" Cover-Up to gently press a small amount over the T-zone only. You can also use a domed eyeshadow brush, which is what I used to do, but now I prefer the puff because it ensures the powder doesn&apos;t cling to baby hairs, and there&apos;s less risk of breathing in the particles. 7. Touch-up as required. Because we&apos;re talking about natural ingredients here, you can&apos;t go in with the same expectations that you have for chemical-laden makeup. "Un" Cover-Up is not going to give you 24-hour coverage, and it&apos;s not waterproof. 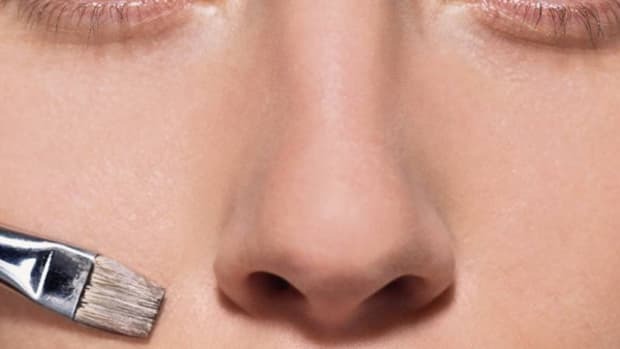 How long it will last really depends on your skin type, oil production, climate and activity level, but I personally find that if I set it with powder, I get at least three or four hours before I notice a little redness coming through around my nose and chin, that I have to touch-up. It&apos;s a compromise I&apos;m willing to deal with since I know the ingredients are so good for me! Final look wearing all RMS Beauty products—including RMS "Un" Cover-Up and "Un" Powder on the skin. Fine, I will admit it—I am an obsessed fan when it comes to "Un" Cover-Up! But I do hope you&apos;ll give it a whirl, based on its amazing benefits and these must-know application tips. 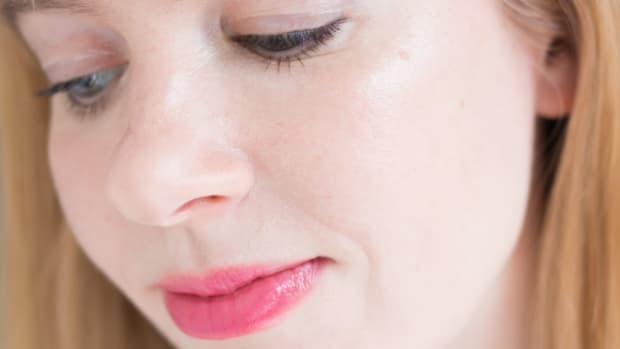 After all, we spend so much time trying to improve our skin that it only makes sense to use makeup that heals and nourishes—instead of aging us. RMS Beauty "Un" Cover-Up not only gives your skin a beautiful natural finish, but the ingredients are also healing and hydrating. 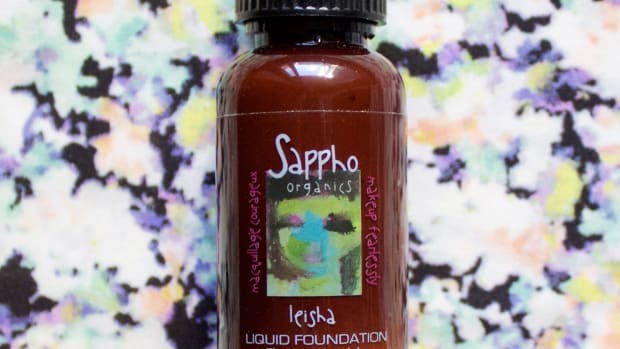 I do still take the time to apply liquid foundation (like Sappho) when I need my skin to look extra-flawless, using it in conjunction with "Un" Cover-Up as concealer. But most days, I wear "Un" Cover-Up alone. Now that I&apos;ve got the hang of how to work with it, I really don&apos;t think I&apos;ll find a skin product I like better! Have you tried "Un" Cover-Up? 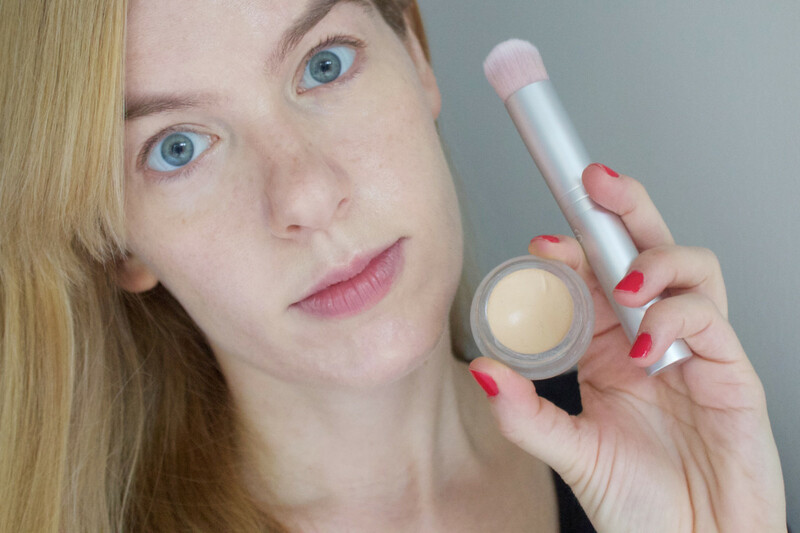 Do you wear it as concealer or foundation, or both? What&apos;s your method for applying it?